Check out this tutorial that details how to make an ordinary trashcan into an awesome Star Wars one! 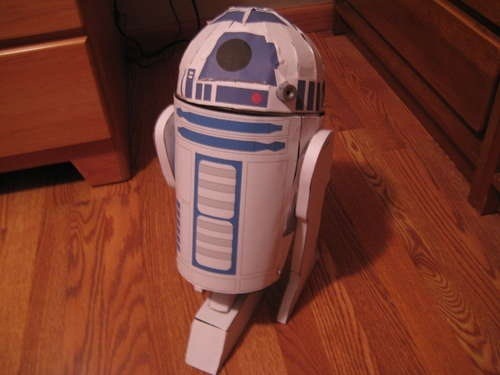 This is a step- by- step tutorial to make an average everyday trash-can into a R2D2 trash-can! News: Star Wars R2D2 Dagobah Swamp Cake. How To: How high is your landfill?